Agarinuka fountain used to be an important gartering place and source of fresh water to local villagers. Kitanakagusuku Village, once part of Nakagusuku Village with a rich and long history, is located in the Nakagami District of the central part of Okinawa. Wakamatsu Park offers a nice view of surrounding areas. The Nakagusuku Castle was rebuilt on orders of Lord Gosamaru in the 1440s, and since then the district has been widely documented. Although it has a long history of being part of Nakagusuku, the village was divided into northern and southern parts after WWII, because of the establishment of U.S. military facilities in the area, and thus Kitanakagusuku (North Nakagusuku) was born on May 20, 1946. Nowadays, the village is well known for its many “power-spots of healing” that are scattered all over the village. The power spots are believed to be flowing with mystical energy, and there has recently been a boom in Japan in the popularity of these spots. Many people travel to visit such places both domestically and even internationally. There are several shrines in Kitanakagusuku, including as Nasu, Waniya, Kunendo shrines and others. Also graves of Nakagusuku Wakamatsu who was a child of King Shoen and Adaniya Noro, and Chunjun Ufunushi, the ruler of Chunjun and was said to “be loved by the people he governed” are there. 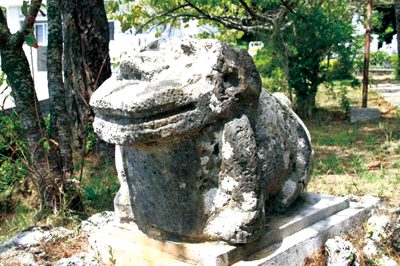 Also, on the entire island of Okinawa, there are 33 Sanskrit monuments, and 11 of those are standing in various places within Kitanakagusuku. Nakamura House is a living museum that shows Okinawan life-style as it was in the distant past. Nakamura-ke, a well-known Okinawan traditional house, which is designated as one of Japan’s National Important Cultural Properties, is in Kiganakagusuku. 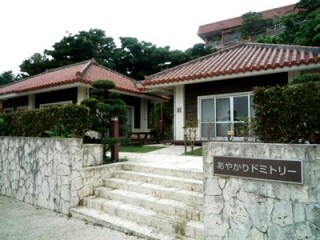 It’s a must-see place to anyone wanting to learn about Okinawan culture. 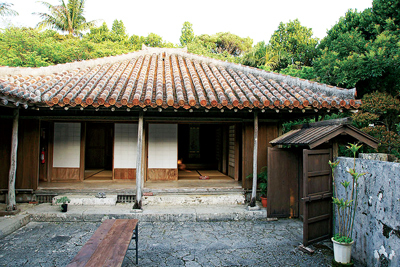 Nakamura-ke is not only a well preserved traditional Okinawan house, the way it was built according to rules of feng shui, which was brought to Okinawa from China in the Ryukyu Kingdom Era, played a huge role in its construction. Apart from all the historical sites, Kitanakagusuku has an ongoing modern project called “Kajimaya Sculpture Project” with 99 sculptures of mysterious and artistic objects set up along Route 81, and other roads within the village. They are all works sculpted by graduating students from the Okinawa Prefectural University of Arts. “Chunjun Nagari” is a song indispensable to the Okinawan entertainment world and especially in Eisa dancing. During the Okinawa Obon season this song is heard in many places. The song reflects on the feeling of a parent who has passed away. According to old records from the Ryukyu Kingdom Era, the deity enshrined here is Nasutsukasa Oibe, and a shaman named Adaniya Noro presided over the enshrinement. 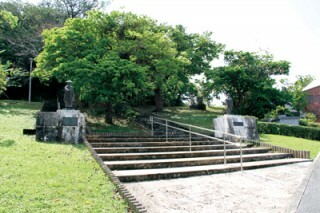 Three kings are entombed above its rear stone; Shunten, Shunba Junki and Gihon. 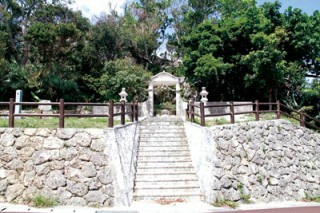 Ogido Ogusuku community, located along Route 146, has a long history. Once inside the settlement you will feel and see the authentic Okinawan way of life from years ago, untouched, peaceful and satisfying. The current residents continue to care for the land and preserve it as much as possible. 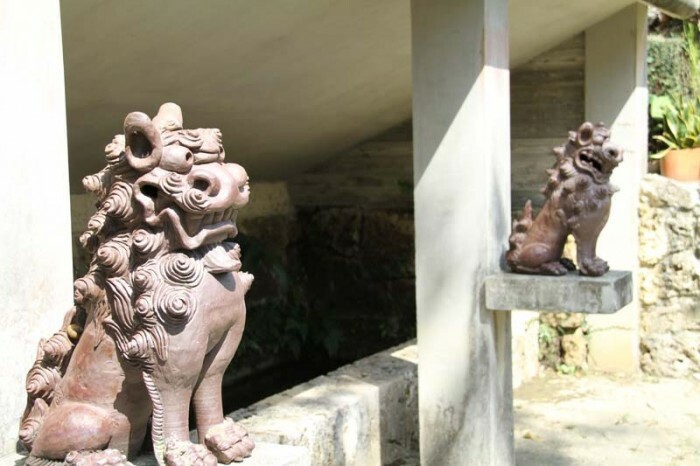 On the streets many shisa and other artistic items create the image an outdoor art museum. The road through the area has been named as one of Japan’s most beautiful streets to walk. 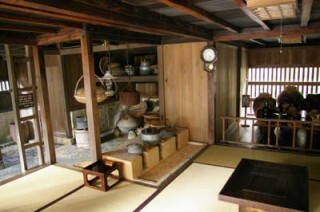 Nakamura House is one of Japan’s Designated National Important Cultural Properties. It’s believed to have been built in the early 19th century. The construction method is strongly reminiscent of the architectural style of the Kamakura and Muromachi eras (1185-1568). It’s definitely a must-see spot! 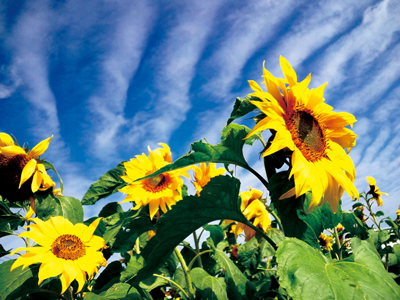 Kitanakagusuku’s Sunflower Festival is held during the winter season and is a well-known event. Every year it takes place from the end of January through February. If you missed it, be sure to visit next year! Ayakari no Mori is a facility centered around the Kitanakagusuku Village library. 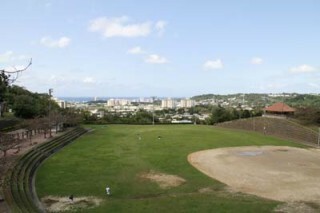 The facility, located on a hill next to Costa Vista Hotel, is divided into four parts; library, learning facility where classes such as folk dance and pottery making are conducted periodically, lodging facilities for youth exchange programs or family stays, and the outdoor facilities including a campground that is also used as a venue for concerts, and a BBQ site. Wakamatsu Park is Adaniya, Kitanakagusuku. There is plenty of nature to appreciate in the park. It located on a hill, and has great view overlooking Awase, has a full range of athletic equipment, and a fun-for-all roller slide. Located in Kishaba Park, this shisa is about three-and-a-half feet long and a little less than two feet tall. It was originally positioned to face a huge limestone rock named “Kanisan” that was located between the western end of the village and the northern side of Adaniya. 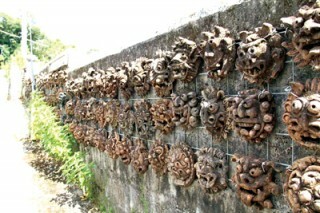 It is the oldest shisa on Okinawa.